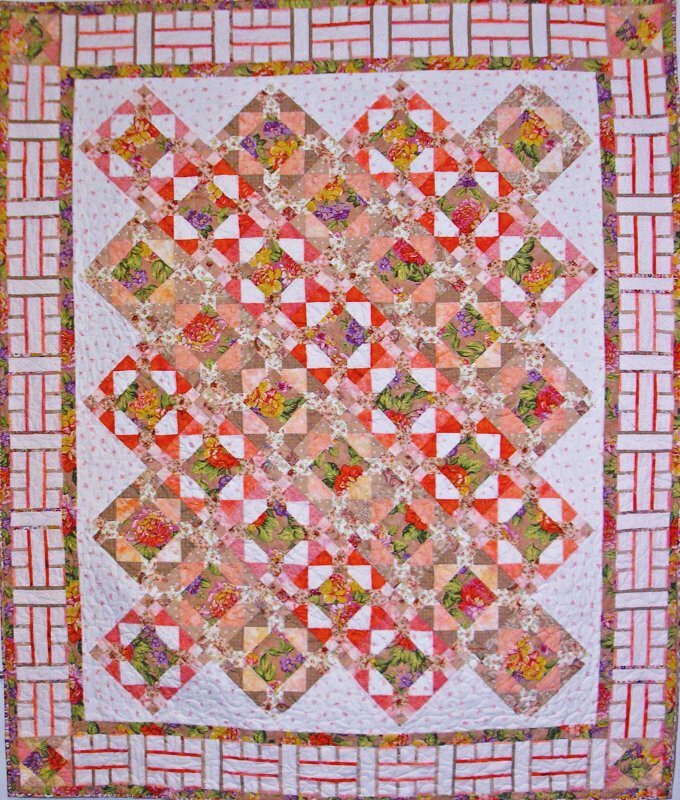 With beautiful hues of apricot, tan and rust - make this delicate large lap quilt. The blocks has style and charm and can be made very quickly. A homemade plaid border is just the right finish. All my quilts are in excellent condition, with skilled piecing and either are custom or edge-to-edge quilting. My quilts are priced based on a variety of factors including fabric cost (top and backing), difficulty/tecniques of piecing, and the quilting (custom or edge-to-edge). Quilts with a lot of applique, lots of little piecing (HST's etc.) will cost more.